Lee Precision Carbide .460 Smith & Wesson Magnum 3-Die Pistol Set uses a solid carbide insert ground to a special contour that does not leave the objectional belt mark on the cases, common to the ordinary carbide dies. 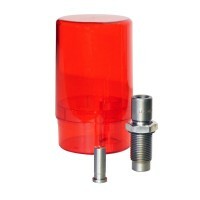 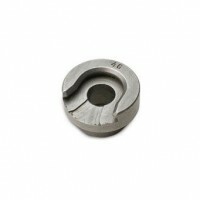 A Carbide Full Length Sizing Die is a must if you are reloading for more than one firearm or reloading cases that were fired in other firearms. 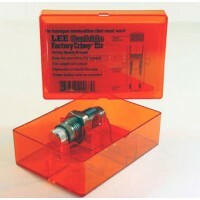 No case lube is needed, and you don't have to clean your cases. 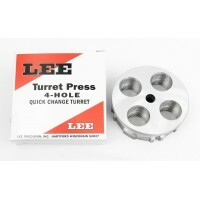 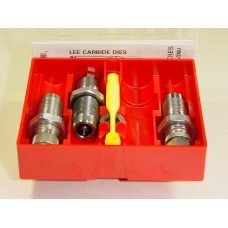 Lee Precision Carbide .500 Smith & Wesson Magnum 3-Die Pistol Set uses a solid carbide insert gro..